With increased tendency to look for information, physical literature is losing meaning. People hardly go for a day without clicking into a blog and learn something new, perhaps captivating. While there are numerous books available online, no none wants to get through the pages to get answers to their questions. To many, a blog gives a comprehensive coverage of a given topic that is easy to read and access from the mobile devices. If you have read them, you probably think about them and cannot do away with the habit. For most writers, blogging starts a way to express knowledge in given subject. A vast majority never give a thought on what they could achieve through content curated in their free time. Nevertheless, the clicks and conversations bring untold satisfaction to the writer. In a world where companies are turning to online marketing, you can tap into the growing market to make money. Blogging is no longer a leisure activity, but an economic venture worth your time. Many people have turned to the moneymaking venture; some have left their jobs while others have opened up companies to tap the millions. If your blog attracts traffic in the regions of 10,000 per month, it could be time to monetize your content. It is the fastest yet the easiest way to turn your blog into a cash-generating asset. Unless you are selling your products and services, you are sure to attract marketers keen to use the platform to gain online visibility. Identify a product that you would recommend, endorse, and promote it to the visitors and subscribers. If the product attracts the audience, they click the link and purchase while you get a slice of the sale price. The commission could be anywhere between 30-70% of the sales price. If you are a specialist in a given field, you can sell knowledge to your visitors through your blog. A vast majority of the traffic is out to know something, and with little-organized information online, you can develop comprehensive courses for sale. The best part is that you do it once, and keep earning from repeated purchases. It helps to identify what your clients want from the blog and develop content around those areas. If your blog attracts more than 10,000 visitors per day, you are likely to receive ad requests from prominent brands. They are all keen to put their names on your space for your visitors to see, perhaps click, and make a purchase. The higher the traffic generated, the more likely you will earn from the blog, hence the need to evaluate the value before proposing the ad charges. You may have to come up with different rates for different spaces such as the side banners. If you cannot attract a huge following but have an active community of followers, you could request them to donate based on their will. They are likely to donate if they find value in the content the get from your site. While it’s not an instant path to financial breakthrough, it goes a long way towards covering your daily expenses as you build your platform. You could get some coins to run your hosting as well as market the blog in the search engines. For many people, monetizing your blog entails marketing for other companies. Most forget that they could still earn on a sale basis by making and selling their digital products. They could be eBooks, webinars that are downloadable upon the payment of the set price. With no intermediaries involved, you can sell them at affordable prices to an already engaged community of visitors. However, you may have to incur huge sums of money before you can create a high quality yet attractive products. With internet marketing seemingly influencing the marketing trends, businesses are keen on channels that can assist them to grow. Do not be surprised when they Knock your blogs for leads that could lead to sales. In such instances, you just connect the dots created by marketing inefficiencies by only bringing in two players in need of each other. While it resembles affiliate marketing, you are not concerned if the reader buys the product at the end. You may have heard it, but perhaps wonder how you could use emails to get money. As you keep posting content on your blog, you are likely to identify your most loyal readers. Your aim ought to convert the passive first-time readers into an enthusiastic community of readers who keep up with your work. It starts with a creating an email list of these users to use them for occasional promotions. However, it takes longer but is a sustainable way to get income if you do not spam people’s inbox with junk promotions. If you can sell products through your site, it means you have considerable traffic, always looking for something from you. Have you ever thought of selling the platform? Someone could be willing to pay an arm for your site, as it takes the time to grow traffic levels. Most companies have no time to blog; hence want to buy those with the proven following to benefit from an existing audience. Regardless of the subject matter covered, there will always be a market for the site. The best part is that you can set up several blogs and sell each when it is ripe for the market. Most websites are spammed with ads that often need you to click and learn more about some products. If you click the ads, the website owner receives a commission based on the rates agreed with the subject company. Bloggers start by signing up with a given provider, that provides a code to place on the site. The provider’s post text and image-based ads that are relevant to the content of your blog. While it holds potential for huge profits, you need huge traffic since only a few will click on the ads. Unlike the pay per clicks, the cost per mile pays based on the number of page views that the blog attracts. You are paid out of every 1000 views, hence need to attract huge sums of traffic to the blog. The pay is likely to vary from one CPM provider to the other, hence the need to evaluate before settling for one. Be keen to get the best providers since they often deal with quality advertisers that pay premium prices for the services. You can monetize your site by offering consultancy to people that need your service, but cannot access your location. It calls for you to generate a huge amount of traffic and build a great reputation on the subject matter to get money. You can further your consultancy through calls, texts or via Skype at a given rate. They are likely to pay higher when you give personalized attention. If your content revolves around events, you could seek companies working in that niche to sponsor the events. Most companies would be willing to be part of such events so long as you can promote them at perfect intervals of the day. The method does not inhibit in other ways, as it helps bring in participants that can engage your blog long after the events conclude. If your readers derive value from your posts, they could be willing to pay a premium for customized content. Most sites have turned to membership areas where exclusive users can subscribe and enjoy access to the content. The method is standard for sites offering tutorials that find high adoption in the market. However, you may start with free membership to create loyalty before requesting members to pay for the service. As companies seek to understand their share in the market, they turn to independent players to measure their brand penetration in the market. You can initiate polls and surveys from different players to get money from those involved. You only need to register with sites that offer these services, but it has to suit your content. The traffic on your site will vote while you earn money for displaying the survey. Your blog could be the next professional platform where companies post job vacancies and job applicants look for the posts. You may seek a fee for displaying the job opening and bonuses if one of your viewers fills the position. Nevertheless, it is considerably competitive hence the need to grow your site to survive the cutthroat competition. The higher the traffic, the more the number of listings your site will get. In the wake of heightened completion for advertisements, you may opt to allocate space on the blog for links to different companies. The companies ought to operate within your niche so that anyone looking for your content connects with the products. You have to guarantee a level of traffic coming to your site for you to get substantial payments. With numerous activities, many people cannot make time to attend training and webinars. If you can deliver the content online, you are sure to catch a traffic that wants the convenience of watching at home. 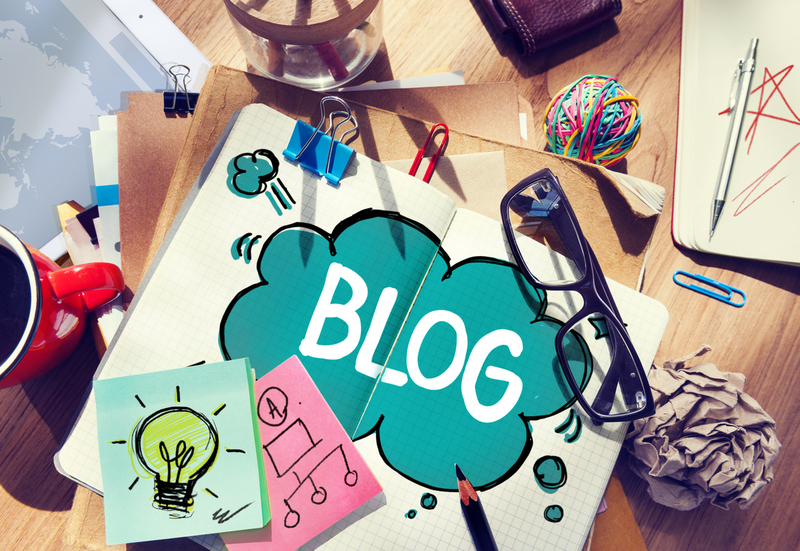 Make it possible through your blog and reap the fruits of filling the gap. You earn by charging the virtual audience for virtual seats in your virtual hall. They can interact with you online and seek more clarification on a need basis. You may have heard of them; pop-ups might get annoying hence likely to get blocked by the visitors. In fact, many people install blockers to prevent the occurrence. However, you can still get something out of it, if you do it the right way. You can get one pop-up that is exclusive only to new visitors, as they attract the attention of the audience on their first visit. They are best suited to promote different aspects of the website such as encouraging visitors to sign-up to the mail list. When it comes to promotions, people are keen to cut their purchase prices through coupons and promo codes. If you can get and provide valid discounts, you will be surprised by the level of traffic you will attract. You can get a slice of the revenue from the programs while growing your traffic to levels that increase your income from other channels. If you can set up a blog and attract a following, you can provide writing services to other companies. Most companies are keen to get their content done by experts, and your blog might be the proof of what you can do for them. With a blog, you can command the price based on the length and complexity. Did you know that you can distribute your content to thousands of global domains thanks to our content marketing platform?